The autumn season is most certainly one of my favorite times of the year. There are so many things that I love about the fall season and some of my favorite autumn words are hoodies, pumpkins, and s’mores. From the refreshing fall weather, to fun with pumpkins, to the colorful autumn leaves, all of these autumn words make me feel warm and fuzzy inside. There are so many autumn activities to choose from that you’ll never be bored during fall. If you are looking for some ideas, I’m happy to share some of my favorite fall traditions and fall activities. However, before we do, let’s take a deeper look into autumn itself. When is autumn and the first day of fall? For the Northern Hemisphere, the first day of fall or autumn falls on Friday, September 22 and ends on December 21 when we usher in winter. For much of the United States, this is when the weather begins to cool off quite a bit and weather patterns begin to change. The autumnal equinox is the first day of fall when the daytime and the nighttime are almost exactly the same amount of time. There is one each fall and one each spring. Since the first day of autumn is on September 22nd, that is also the date when the autumnal equinox will occur. Does Red Cat Reading have videos about autumn? YES! We have a lovely video about Halloween and another great video about Thanksgiving. Be sure to check them out and watch them with your children. 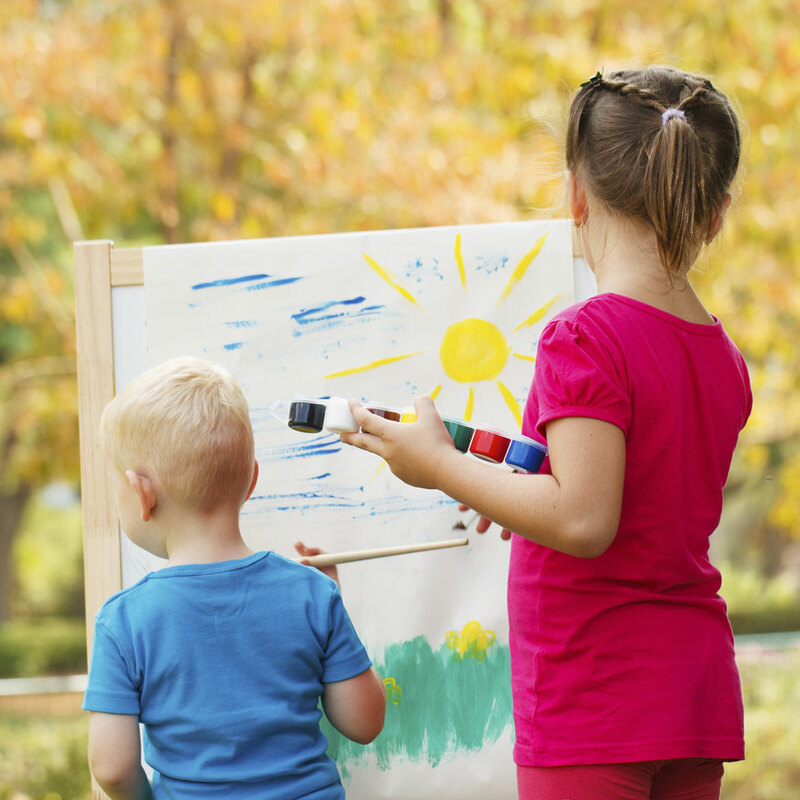 What are some fun, fall outdoor activities for kids? Have the kids help you rake up some leaves and before you haul them away or pile them by the curb, let the children enjoy running and jumping into the leaves. If you have a play set or jungle gym with a slide, you can pile them up at the bottom of the slide and let your kids slide right into them. As a child, this was one of my greatest memories! Visit a local farmer’s market and get some popcorn or dried corn on the cob. It’s fun for kids to take the dried kernels off the cobs. If you get popcorn, you can use a kettle popper or air popper and pop the corn for a fun, fall snack. You can also use corn kernels for counting, sorting, and other fall crafts for kids. Collect colored leaves and sort them based on size, color, or shape. You can also save the leaves and use them to make leaf prints to hang around your house as decorations. Not only is this a great outdoor activity for kids, but it’s also a great addition to your fall crafts collection. Many towns and cities host mid autumn festivals where you can pick pumpkins, purchase fall decor, and even sometimes visit a petting zoo. One of my favorite trips each fall is to our local campground where they host a fabulous fall festival complete with kettle popcorn, apple cider, and face painting for the kids. What is normally a lovely outdoor campground is quickly converted to a beautiful autumn park. It can be a fun fall activity for the whole family. I think Mr. Bryant is absolutely right. What’s your favorite Autumn activity? Let us know in the comments below!